But instead of throwing a pity party for the family, Russell and other neighbors decided to throw a painting party. They brought together dozens of families from small-town Tenino armed with paint and other supplies to erase the messages of hate and replace them with love. “Our biggest concern was getting this done before the family came home because they have small children and we didn’t want them to see their truck or their home vandalized,” said Russell. 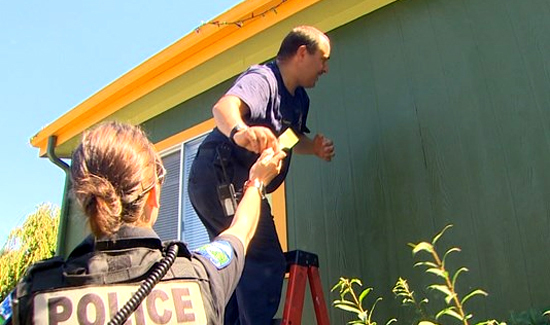 Even the town’s on-duty police officer stopped by to paint.